Take a look at the UT Advanced Japanese class' Austin Guide. Take a look at MBA Student's Austin Set Up Guide. 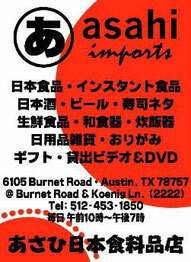 This guide is the information about how to set up your life in Austin written in Japanese. This website introduces the University of Texas MBA program (McCombs School of Business). If you are interested in Texas MBA progaram, please check this website.